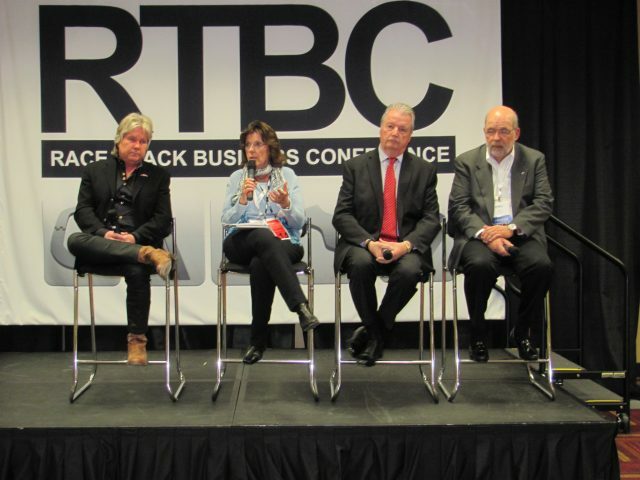 RTBC – 2014 Attracts Record Numbers! A full day of topical and engaging sessions highlighted the third annual Race Track Business Conference appearance at the 27th annual Performance Racing Industry Trade Show at the Indiana Convention Center. Speakers and attendees from across the United States, Canada, Brazil, and Hong Kong gathered to discuss issues facing industry professionals. 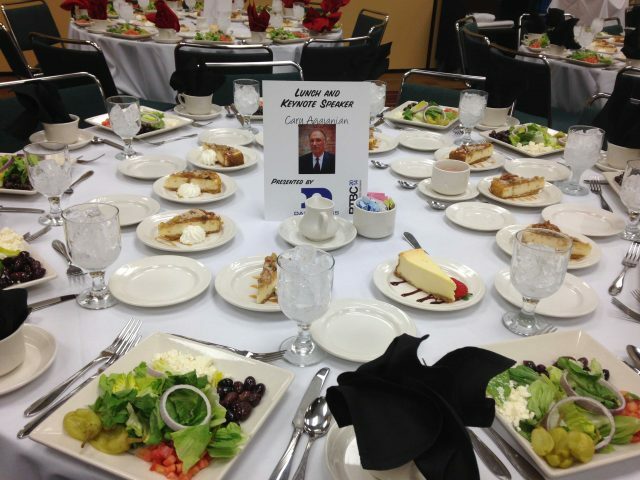 Luncheon insights were presented by Cary Agajanian – President – Motorsports Management Intl. The legendary attorney, agent and promoter highlighted the Agajanian’s family seventy years of involvement in racing from Ascot to Indy. Lyn St. James presented to Women’s Sports Foundation Project Podium Leadership award to Lisa Noble – SCCA President. “Her character, charisma, and commitment to support cultural change without disrupting the core values of sports car racing is powerful,” said Lyn St. James. The NCM Motorsports Park received the “Outstanding Facility of the Year” award presented by National Speedway Directory and Track Guide. The new facility located in Bowling Green, Kentucky adjacent to the National Corvette Museum and GM Corvette plant is expected to be unique in meeting the demands of manufacturers for performance research and development. A donation was made to the Austin Hatcher Foundation on behalf of the speakers and attendees to support their charitable efforts in regards to pediatric cancer.